Today I have invited author Lea Carter to do a guest post. Lea is the author of Silver Princess, a YA novel. 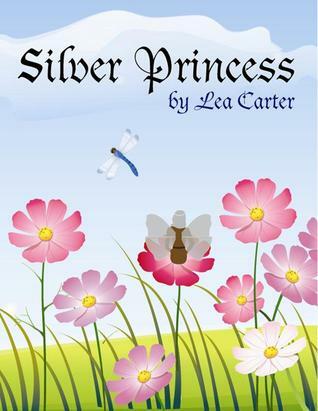 Silver Princess is a "fairy" exciting adventure. Wisdom wins out despite inexperience when young Princess Rebecca takes on civil unrest and a handsome stranger. Readers of all ages will cheer her courage as she defies those who would dethrone her father. A word (well, a few words) on writing… Everyone has a story to tell. Whether or not we share it is up to us. For me, writing is an attempt to capture scenes that come into my mind. If I can convey the emotion of the characters and explain the drive behind the scene, the rest of the story will unfold like a budding flower. While writing Silver Princess and Silver Majesty, I was taken by surprise more than once. For years I scribbled ideas and partial stories without finishing them. As I am a painfully shy person, there were only a few trusted individuals who were permitted to read them. But the important thing is that I was writing, however poorly. Whether we’re working on a one-page synopsis of an important family event, a one paragraph advertisement for the local paper, or a two thousand page book for general enjoyment, we start by writing it down. Some folks write on paper, others type, and I’ve even been known to use my cell phone voice recorder to capture ideas in a hurry. Always treat those elusive sparks of creativity with respect. They make the difference between potato soup and vichyssoise! Never, never destroy your own work. There will be plenty of people willing to share their “constructive criticisms” with you, usually for free. Have faith in your writing. That’s a lesson I learned the hard way. While working on Silver Princess, I was trying so hard to match “industry standards” and fit into the mold of popular fiction that it took me five years to “edit” and self-publish it. I wrote it in three months. If your story doesn’t fit a popular concept, that’s ok. Rare and exceptional things usually don’t. So. Weeks and months have gone by. Most difficult of all has been finding the time to spend staring at the computer screen or doodling in your notebook. The tentative story idea has alternatively shot forward like a finely tuned sports car and stalled like a cheap old beater. But, finally, we have something. Time for editing! I was better prepared for my second book. I broke the editing into three separate tasks: continuity, grammar/punctuation, and devoted attention to detail. When I took Silver Majesty to the community college writing center here in Salt Lake City, I specifically asked the woman I was working with to watch for instances where they were [figuratively speaking] wearing coats in August or lighting candles at noon. I was blessed to have a friend volunteer to review it for grammar and punctuation. And nobody has edited Silver Majesty quite like my mother, who was the only one to notice that I began referring to a particular character by a different name halfway through the story! If you leave an editing session feeling discouraged because your writing or your story is “just no good,” you need a new editor. Don’t compromise your characters or storyline. If Hero wouldn’t do “that,” don’t force it; s/he’ll never be the same. Let the editor go write his/her own story! Don’t misunderstand. Editing improves a story by removing mistakes and clarifying murky points, and that can sometimes hurt our feelings. Adjectives, adverbs, dangling participles, overusing “and,” how to use commas… Take notes, take your time, and try to decide on suggested “improvements” after the emotional static clears up. Even if it takes a week. (Assuming you’re not under contract to produce a book by a certain date, you have that luxury.) Especially with your first story when you’re still learning balance. Certainly it is clearer to say, “After the party I will hand you worthless documents in exchange for an exorbitant amount of hard cash” instead of “I’ll bring those documents to the party tonight. 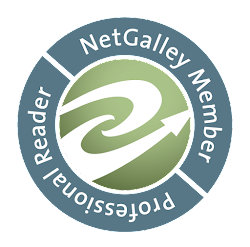 We can make the exchange then.” Here we balance clarity against plot with obvious results! The story is now longer or shorter than it was to begin with, but it is infinitely more polished. If it is historical, our dates have been checked and rechecked. If it is science fiction, we’re reasonably certain that the technical aspects are sound. If it’s fantasy, the world, customs, and characters we’ve created are consistent throughout the story. For those pursuing a traditional author-publisher relationship, research is crucial. Query letters, literary agents, slush piles, and “accepting unsolicited manuscripts” will become the subjects of your dreams. I wrote a few query letters. I tried researching literary agents. But I can honestly say that the rejection letters I received did more to stifle my faith in my writing than any editing session ever did. So I chose to self-publish. There’s a lot I still don’t know. I do know that electronically submitting a manuscript to the U.S. Copyright Office is relatively inexpensive and takes about two weeks. The website (http://www.copyright.gov)/) has a “Frequently Asked Questions” page and the submission process is littered with links to useful information so that we can learn as we go. I highly recommend stopping in the middle to send an email or make a phone call if you’re still confused after reading their information, though; this is not a step in the writing-publish process that we want to make a mistake on! I e-published with Amazon Kindle because it was so simple. It certainly has frustrating aspects, like trying to format the manuscript for a particular presentation on a Kindle or if one is including an image (outside of the cover image). But thankfully the technical support team has been very prompt (and patient) in answering my questions. Writing. Duty, hobby, occupation, mode of expression. It is all this and much more. Thank you for your time in reading this. Now go write/rewrite the story that’s been haunting you! Wow! This is great information. I feel inspired! Thank you so much Lea! I will be doing a review of her book, Silver Princess. I am excited because I have a thing for faeries. Silver Majesty is the name of her upcoming book. You can follow Lea at Lea's Book Shelf. She has an Amazon Author Page, Goodreads page and blog.